Now in its 31st year, the lineup for SummerStage 2016 has been announced, proposing the most exciting roster of free-of-charge summer cultural events in the city. Run by the nonprofit City Parks Foundation since 1986, the SummerStage performing arts festival proposes an eclectic program of more than 100 alfresco concerts, dance performances, theater productions, comedy, and more, spanning various genres and cultures (with a special emphasis on jazz this year), and representing both established and emerging artists. The events are scheduled to unfold at 16 parks across NYC's five boroughs, with the biggest blockbuster happenings planned at Central Park's Rumsey Playfield. 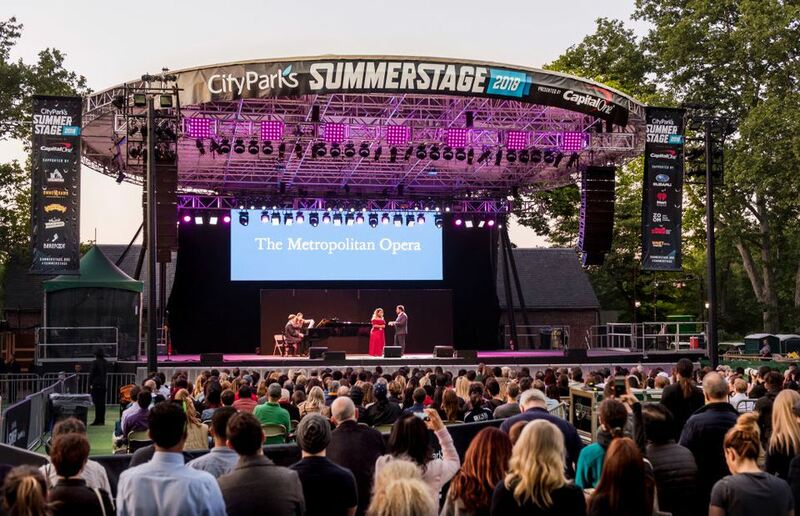 SummerStage 2016 kicked off May 16 and wraps up on September 23; read on for a rundown of the remaining events unfolding in Manhattan. For the full citywide SummerStage lineup, along with ticketing for benefit concerts, visit cityparksfoundation.org/summerstage.